In Summer 2015 instead of doing a weekly Summer Reading Program as we had done in the past, we decided to return to the roots of Summer Programming at the Thompson Public Library and do a summer reading challenge in the form of a Bingo. The board had 72 squares on it and the goal was to get a Black Out, fulfilling all of the categories listed in the boxes. 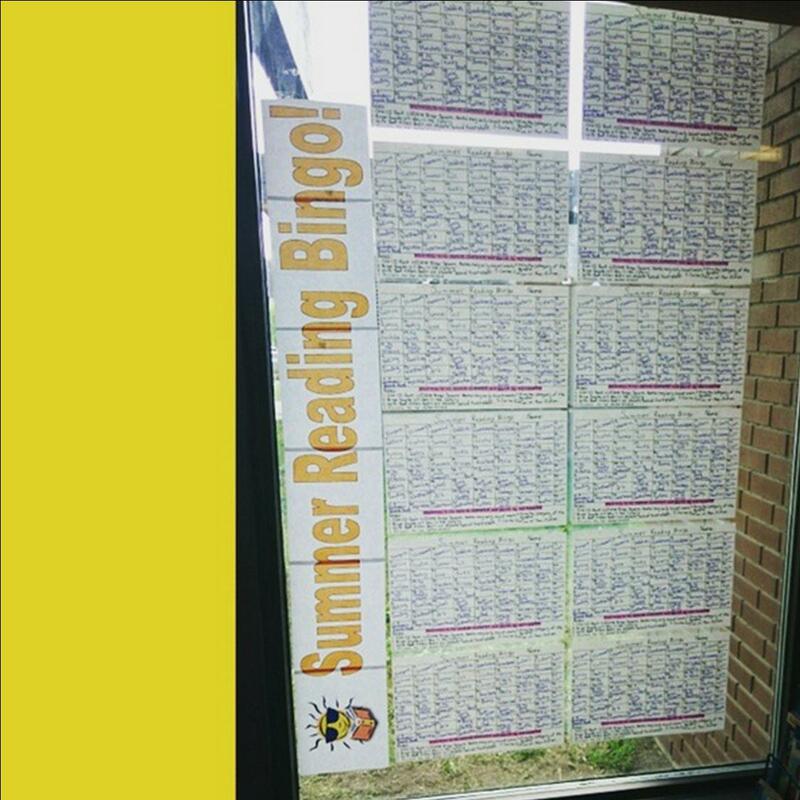 We placed all of the Bingo Boards on the windows in our Junior Section and each time kids came in having read books (or having been read to), they would get stickers to place on their boards. We had 12 kids finish the challenge and they received prizes that were donated to the Library. To mix up what we were doing for summer and get kids in the Library taking out various books. We had 12 kids finish, and our summer reading program the summer before didn't have numbers that high.